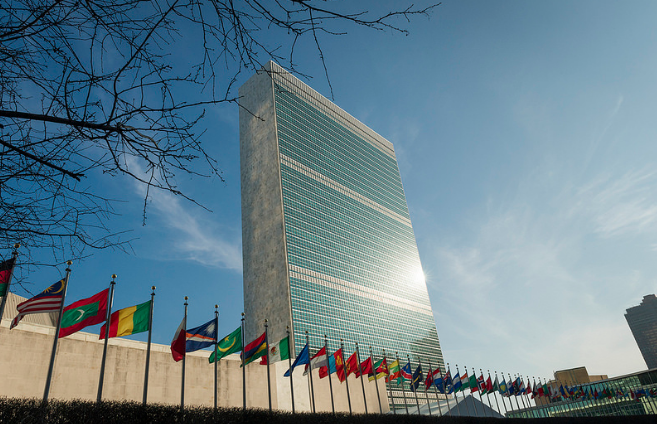 During the weeks of July 9th and 16th, CESR will attend the High Level Political Forum on Sustainable Development at the United Nations in New York, to advocate for reorienting SDG implementation so it is compatible with human rights and fiscal justice. CESR events are listed below. It is now almost three years since the international community adopted an ambitious new set of Sustainable Development Goals (SDGs) to be achieved by 2030. It is fair to say that the initial wave of enthusiasm around the SDGs has died down somewhat, with disillusionment setting in in some quarters. The energy around the 2017 High-Level Political Forum (HLPF)—the UN’s annual forum for reviewing SDG progress—resulted overall in disappointment after the presentation of mostly shallow national reports and a stark lack of opportunities for civil society to engage. The theme of this year’s HLPF, “Transformation towards sustainable and resilient societies,” implies that large-scale, much-needed change is already underway. Yet Global South countries in particular are seeing their efforts to highlight systemic obstacles at the global level—as well as push for global governance reform—consistently blocked and undermined. Civil society in both low- and high-income countries isn’t seeing much “transformation” on the ground; instead, there is more business-as-usual in most contexts. Therefore, CESR is dedicating its efforts at this year’s HLPF from July 9th-19th to seeking a revitalized recognition that the SDGs require urgent and concrete action to remedy inequalities, with rights-based fiscal policies a key tool in that endeavor. CESR’s advocacy next week will draw on its extensive national-level work in several of the countries under review to raise awareness of the systemic obstacles that impede global and national SDG progress. Our proven analysis and critique of global trends affecting sustainable development and human rights since the 2008 financial crisis will be employed to draw attention to the “lost decade” for human rights due to the damaging impacts of austerity, for example in Spain and Egypt. We will also be using Egypt’s Voluntary National Review to highlight common deficiencies in SDG monitoring which are papering over growing inequality and injustice, and present Egypt Social Progress Indicators (ESPI), a collaborative, more holistic tool for monitoring sustainable development progress through a human rights lens. Goal 17 on financing and means of implementation is in theory up for in-depth review every year, but in practice relatively neglected, so it is especially important to keep a critical eye on the obstacles undermining adequate and equitable resourcing for sustainable development at the national and global levels. For example, CESR’s work with partners in Colombia, a country that loses large amounts of revenue to corporate tax incentives that could otherwise be used to support implementation of its Peace Agreement, will be brought to bear. CESR will continue to draw attention to the “spillover effects” of rich countries, such as Switzerland, which by operating as tax havens prevent other countries from raising the resources necessary to fund sustainable development. CESR will also actively engage in discussions around how to improve SDG accountability, including through HLPF reform and the use of human rights mechanisms. Finally, CESR and its partners will launch the collaborative civil society report Spotlight on Sustainable Development 2018—whose theme this year is “Exploring new policy pathways: How to overcome obstacles and contradictions in the implementation of the 2030 Agenda.” CESR is part of the core team that writes, edits and publishes the report, which includes perspectives from around the globe on each Goal, and issues that cut across the broader Agenda. For example, this year CESR's Kate Donald has co-authored a chapter focusing on the devastating impact of extreme wealth inequality and corporate concentration on the full range of SDGs. Despite its deficiencies, the HLPF continues to be the only real chance to scrutinize SDG implementation at the global level. CESR is seizing the opportunity to remind committed parties that holistic progress across the SDGs depends on focused attention to human rights enjoyment and inequalities, and that measurable progress in this respect won’t be possible without more meaningful action by states, individually and collectively, to redistribute resources, wealth and power. Workshop event with Civicus, Action for Sustainable Development and OHCHR. CESR will present on ESPI: Egypt Social Progress Indicators and other strategies to align SDG and human rights monitoring. HLPF side-event, moderated by CESR and co-sponsored with WaterAid, Water Supply & Sanitation Collaborative Council (WSSCC) and governments of Bolivia, Canada, Mozambique and Nepal. HLPF side-event with ENNHRI, Public Services International and others. Moderated by CESR’s Ignacio Saiz, Executive Director with CESR's Mahinour El-Badrawi, Egypt Project Coordinator, speaking along with others from austerity-affected countries around the world.